Situated ľ mile from Littleborough on the south side of the road to Rochdale is Stubley Hall, a two story house. 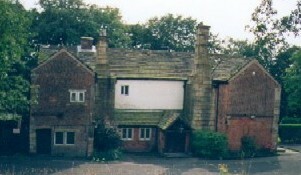 The front of the house faces west and has three wings with the open courtyard to the east. John de Holt bought the Hall in 1330 from Nicholas, John de Stubley. 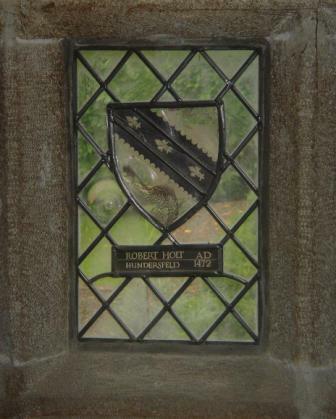 It is said that Stubley Hall was rebuilt by Robert Holt in about 1529, although this can't be verified. The reconstruction and renovation work which took place was not recorded and details of the original house were not documented. 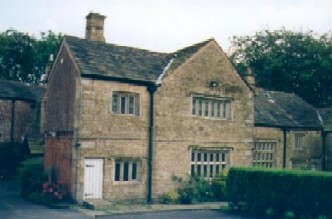 In 1640 Robert Holt, the owner of Stubley Hall moved to Castleton. 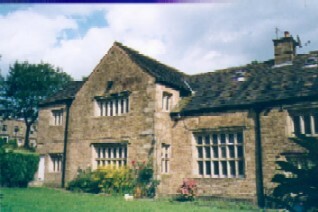 In 1626 Stubley hall was described as "an ancient mansion with stables, barns, dovecotes and water mill" (survey of 1626, quoted in Fishwick's Rochdale. )The roof had stone slates and the gables ends were faced in stone. 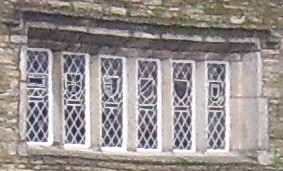 Stubley Hall was documented as having the following rooms in the inventory of goods in the will of Robert Holt who died 1561. "Syling Timber" is also referred to twice. 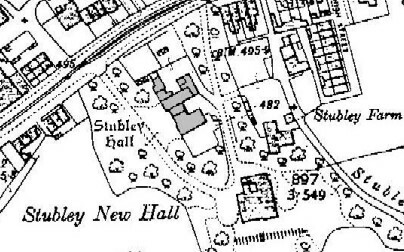 Stubley Hall had a domestic chapel probably situated at the east end of the south wing and divine service was held there prior to Littleborough church being built. At the end of 18th century Rev T D Whitaker wrote "the house contained much carving in wood, particularly a rich and beautiful screen betwixt the hall and parlour, with a number of crests, ciphers, and cognizances belonging to the Holts and other neighbouring families." 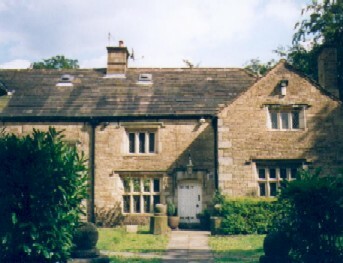 Follow the link for an article including a brief history of the Holts inhabiting Stubley Hall near Littleborough and Castleton Hall, south of Rochdale, for nearly three centuries. This old window displays various coat of arms. 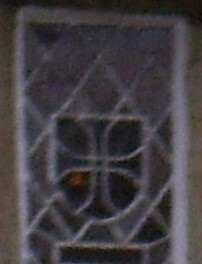 Close ups of the window glass are below.